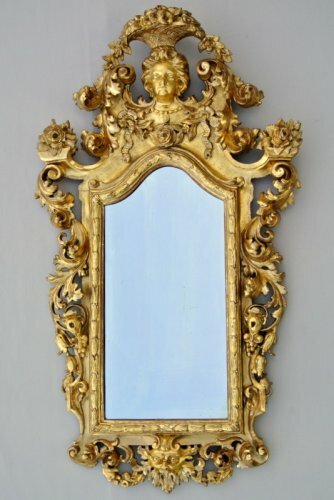 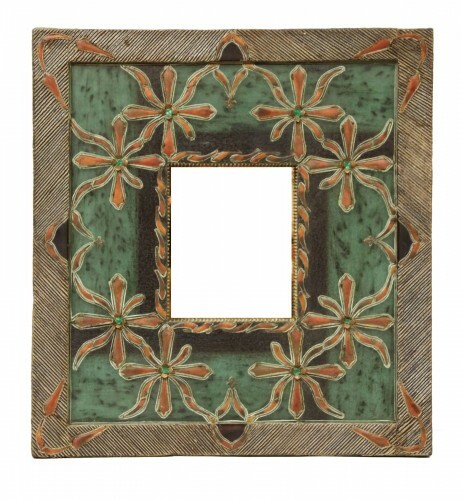 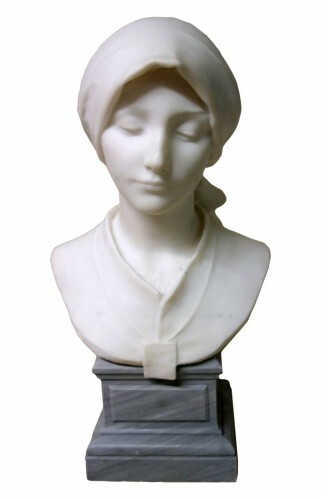 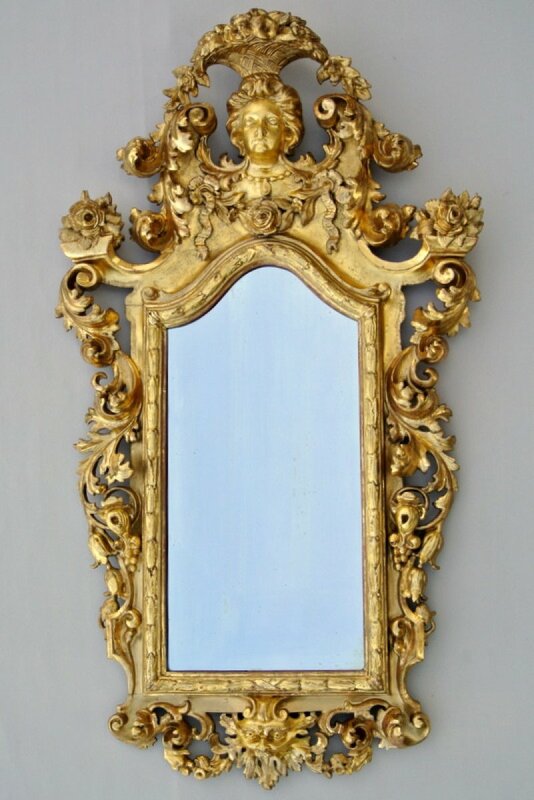 Small mirror "in front of feminine face" Italy early nineteenth century. 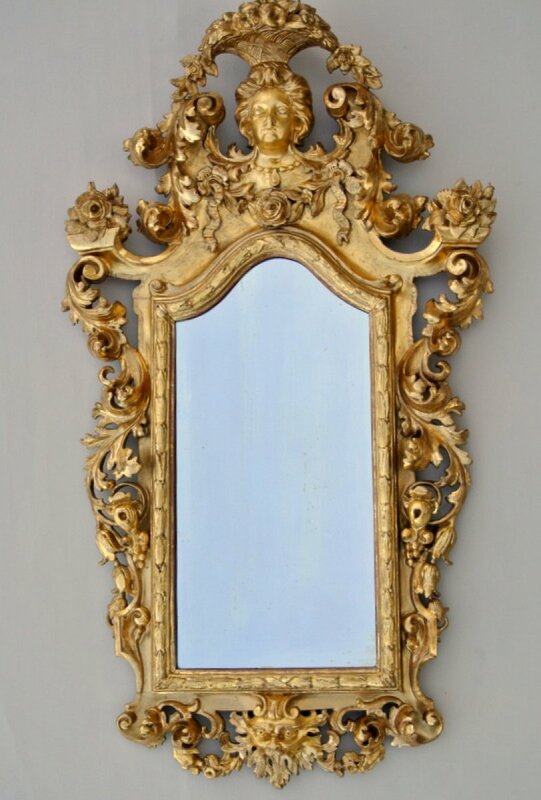 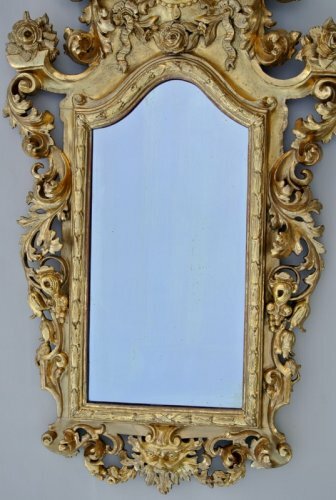 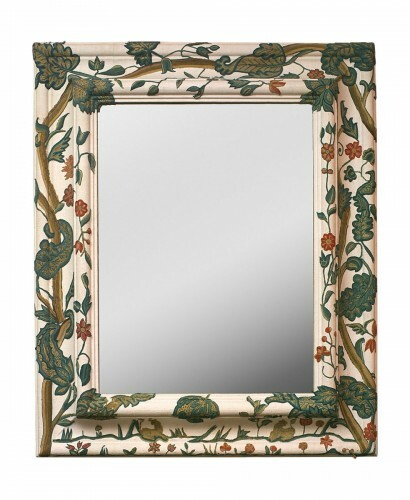 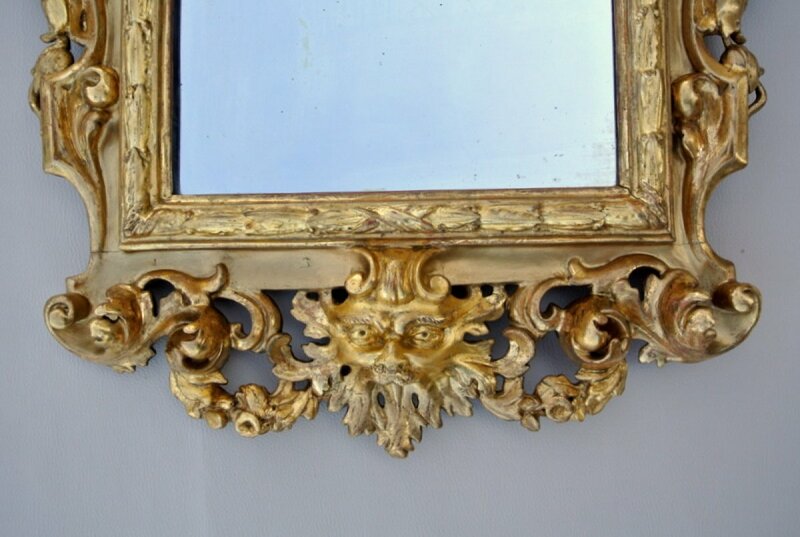 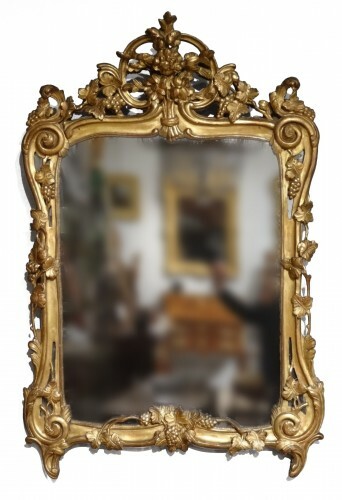 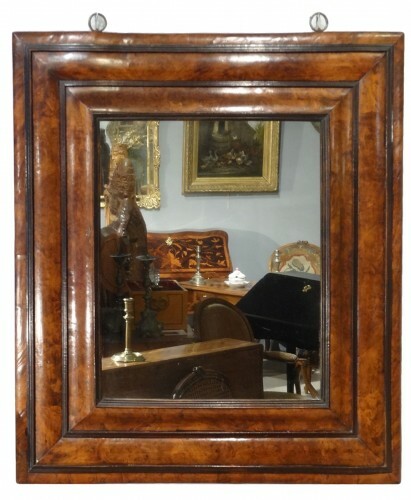 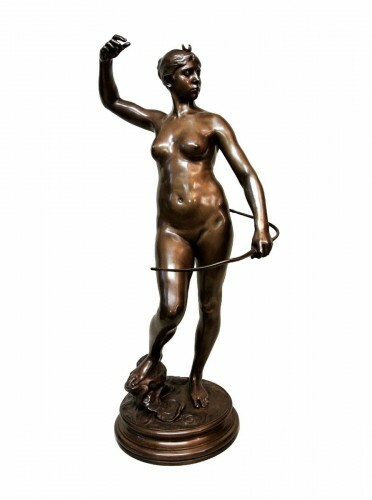 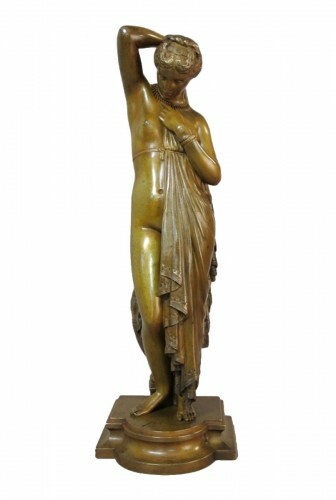 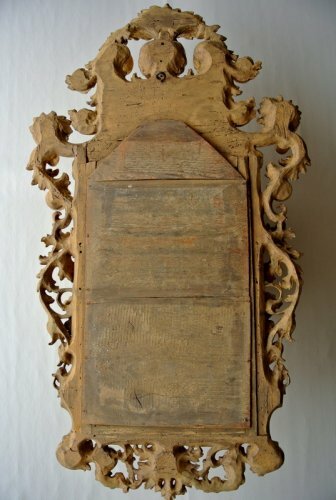 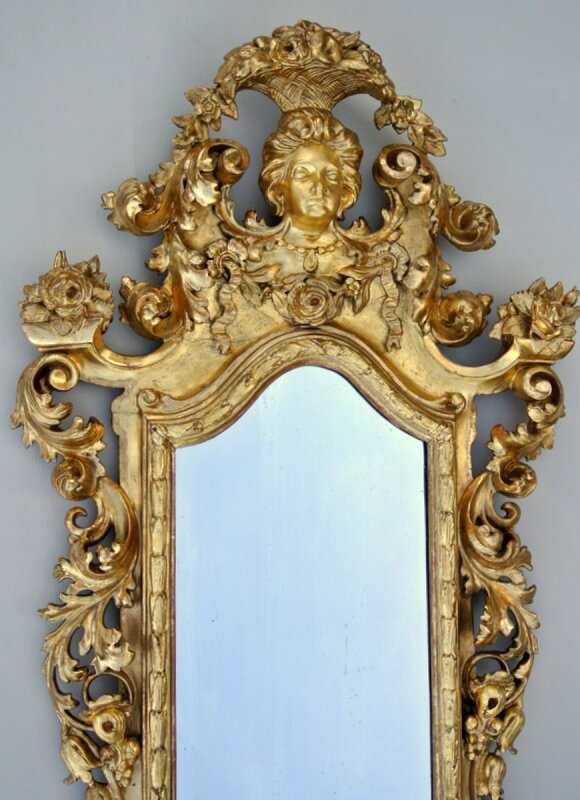 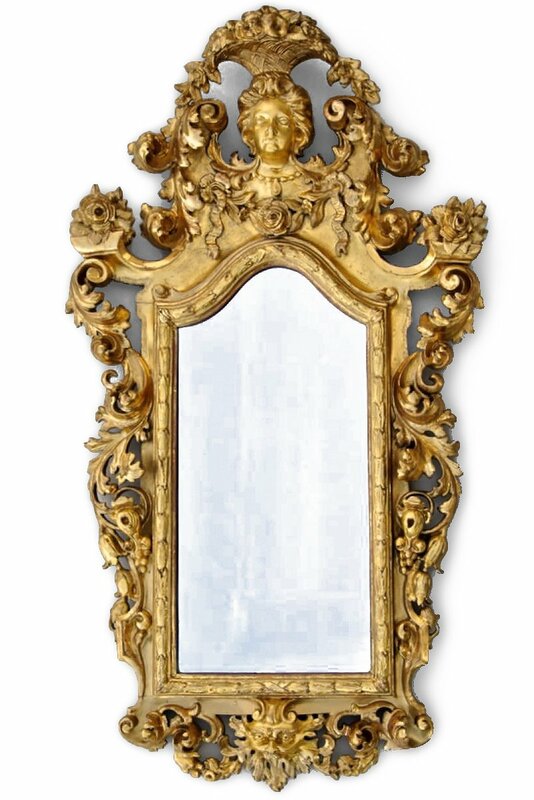 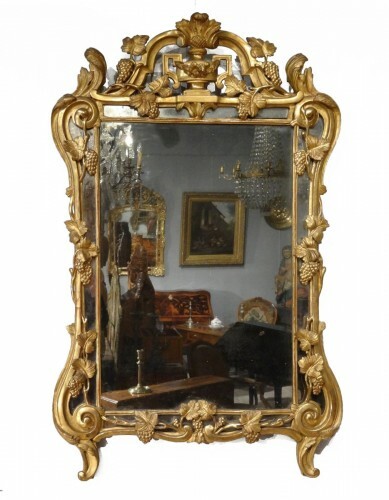 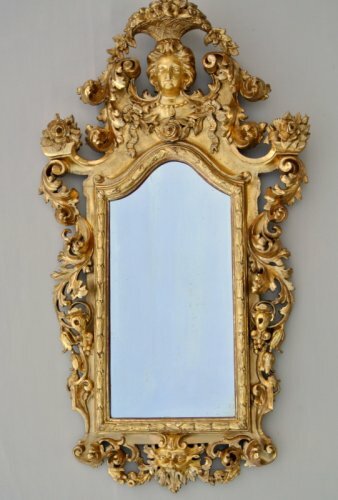 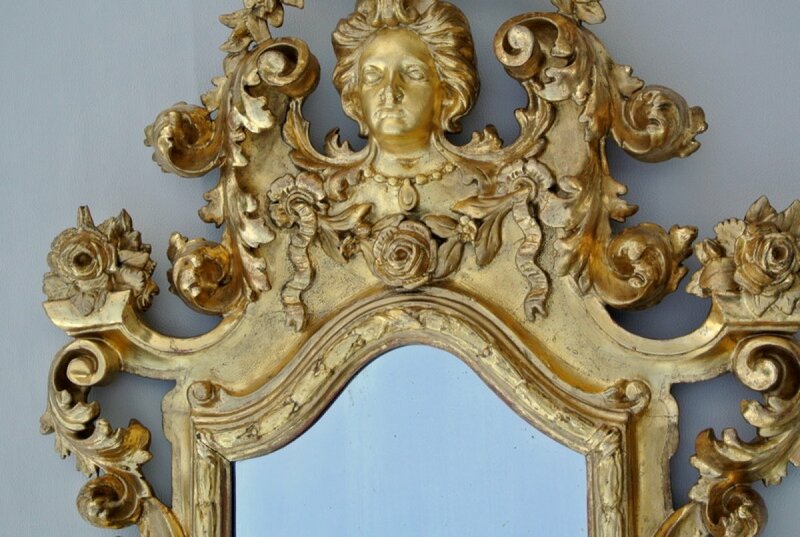 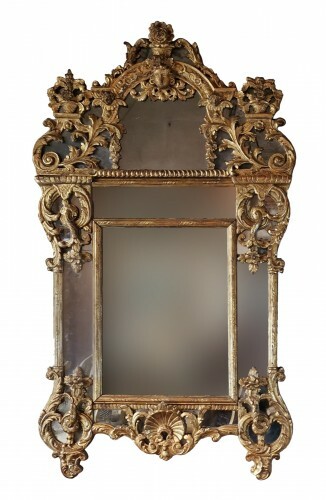 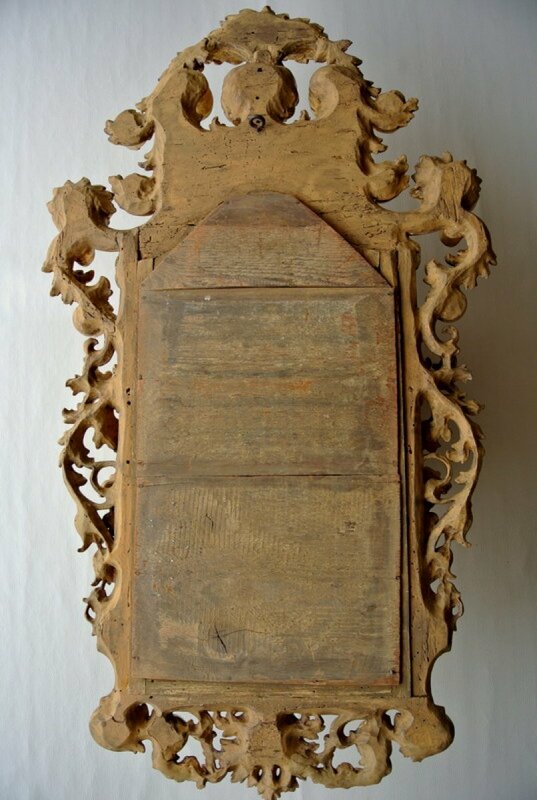 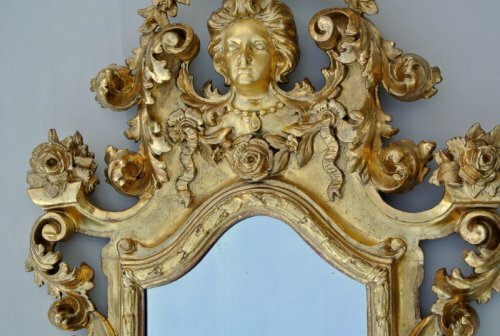 Frame in carved and giltwood, deep movements of volutes, foliage and ribbons, mascara on the base. 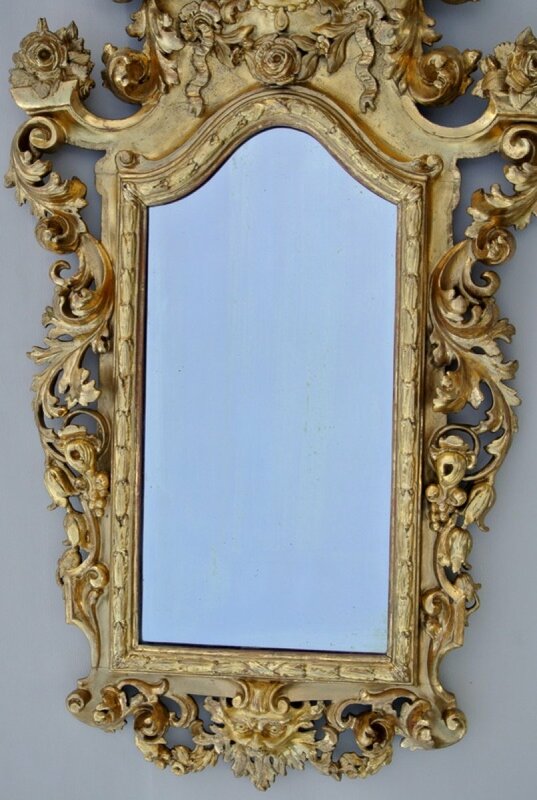 Original mirror, original background.